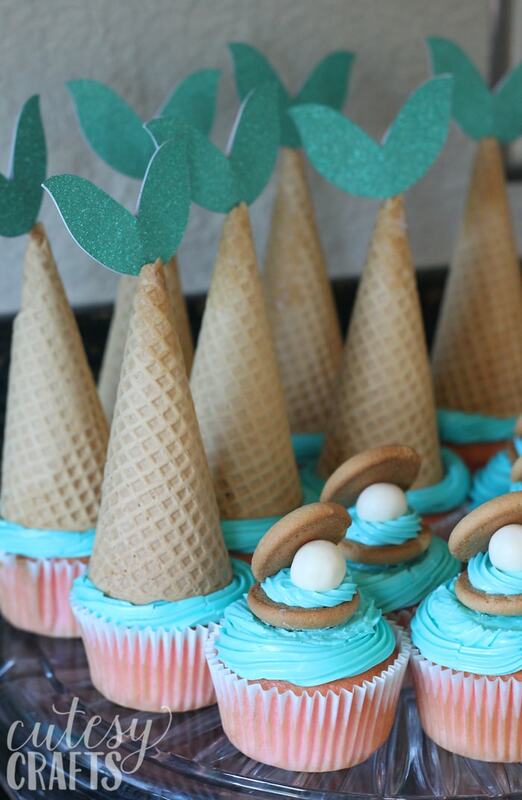 One thing Audrey decided she wanted to be really creative with for her mermaid party was the cupcakes. Of course, I was happy to oblige. 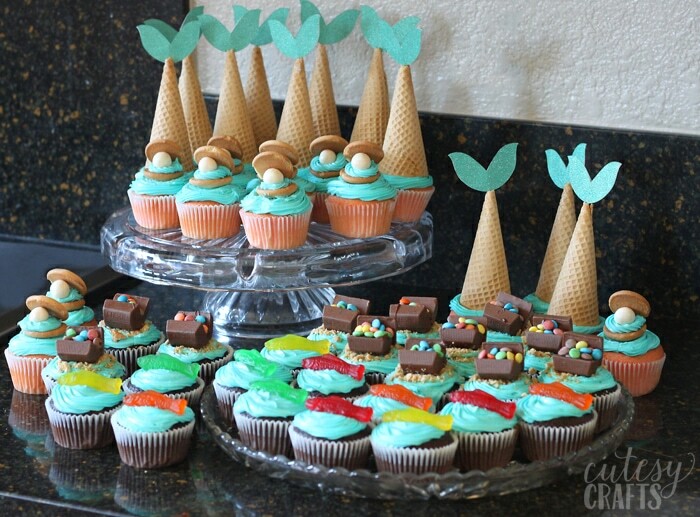 We made all kinds of DIY mermaid cupcakes and mixed in some pirate cupcakes as well. Love mermaids? Make sure you also check out these 40+ adorable mermaid crafts! 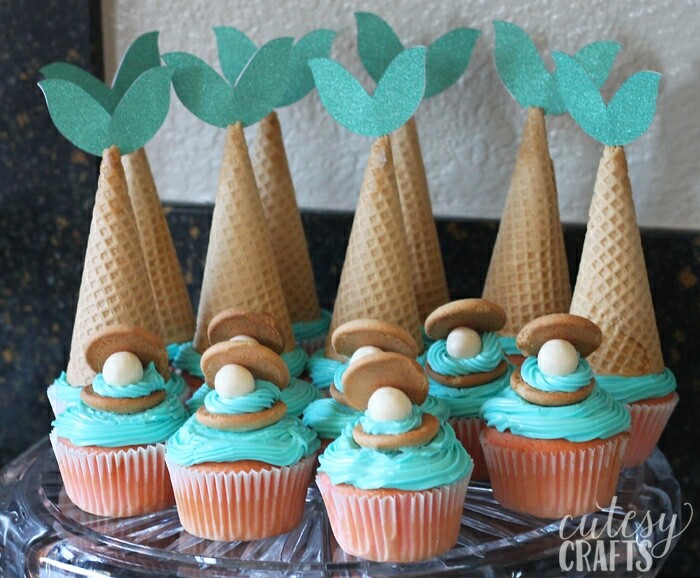 The mermaid tail cupcakes came from this post here. I created a free template if you’d like to make some yourself, or if you have a Silhouette, there’s also a free cut file. You can get those here. Make sure if you use glitter paper that you get one that won’t shed glitter everywhere. No one wants glitter in their cupcakes! The paper I bought was from Michaels, and each piece of paper was inside a plastic bag. You’ll need to cut two for each tail and glue them together with a toothpick sandwiched inside. Break a small amount off the tip of a sugar cone and slip the toothpick inside. 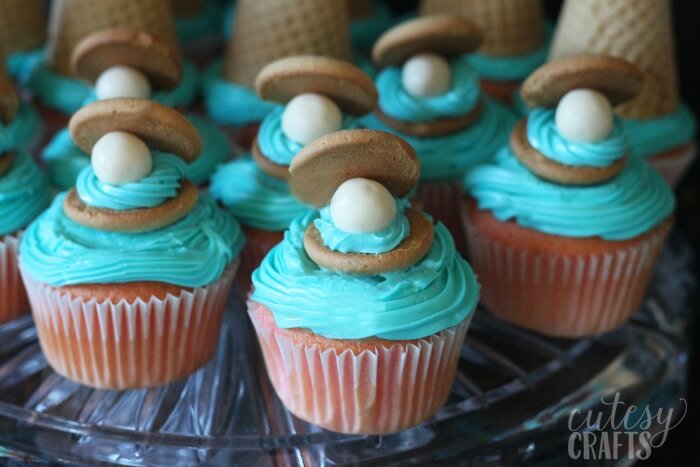 The clam cupcakes are just Nilla Wafers and Vanilla Whoppers with frosting to hold the clams together. Since we were also combining a pirate theme into our mermaid party, I made some pirate cupcakes too. 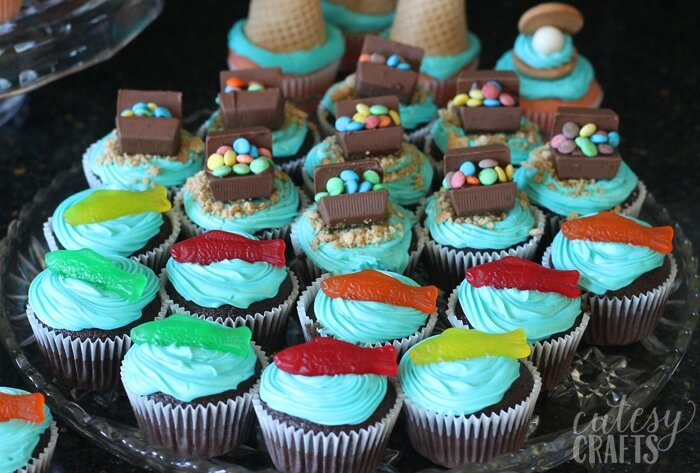 The fish cupcakes are multi-colored Swedish Fish, and I got the treasure chest idea from It’s Always Autumn. Head over to her blog for instructions. Make sure that you don’t freeze the chests with the M&Ms inside. It does something to the coating, and makes them look powdery. The kids got a big kick out of the different kinds of mermaid cupcakes, and Audrey loved helping me decorate them! For more kids party ideas, go here. 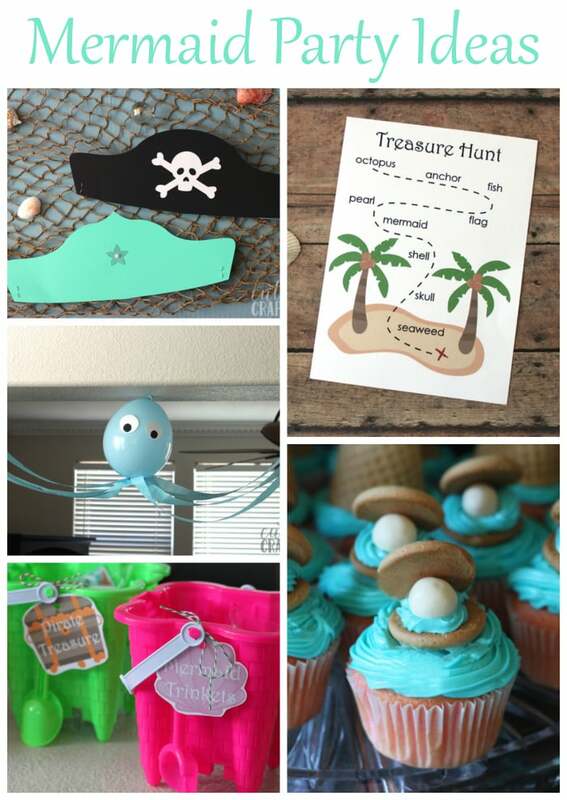 Make sure you also check out the rest of our mermaid party ideas!